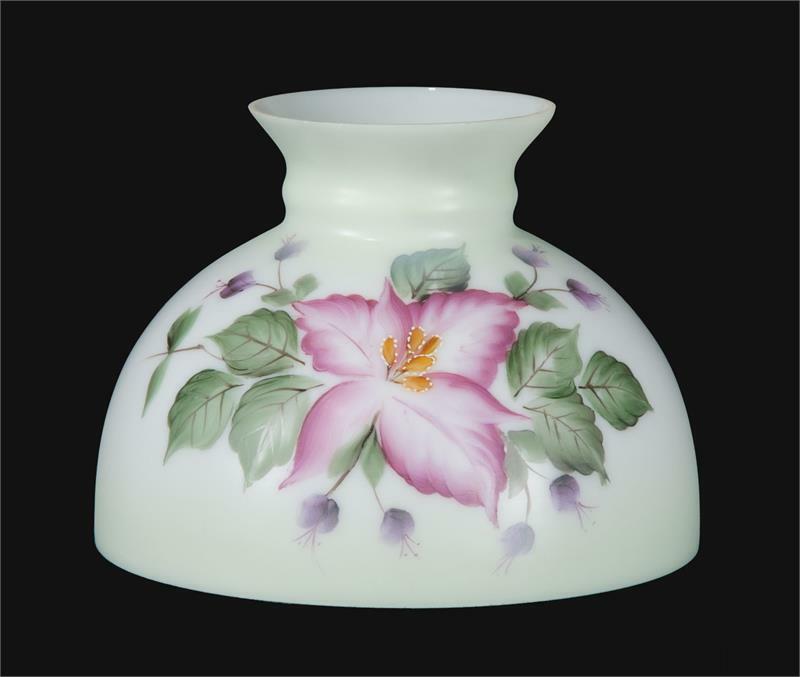 This hand blown American-made opal glass student shade is decorated with hand painted Wild Orchid flower and foliage. The vibrant pink flower is complimented with celedron green tint and green leaves. The classic styling of this Student lamp shade suits a wide variety of decors.